The star of his own Instagram account and subject of a 'saratoga living' feature in last year's 'Best Of Everything' Issue gets his 15 minutes of fame. 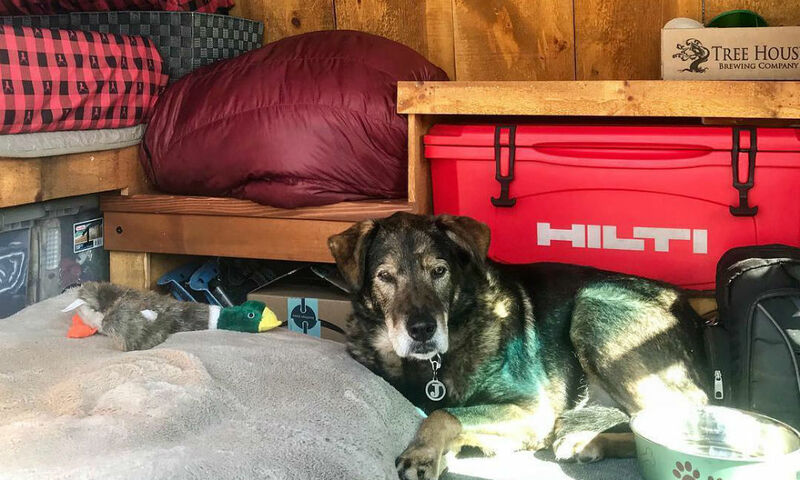 After being featured in last September’s “The Best Of Everything” issue of saratoga living, Jackson, a 12-year-old rescue dog, who’s gained a local following on Instagram for his adventures climbing the 46 Adirondack High Peaks, has recently found a brand-new, much wider audience on the web. Jackson and his owner, Saratogian Jay Christopher, were recently the subjects of a documentary video released by The Dodo, a digital media brand that produces viral animal content. 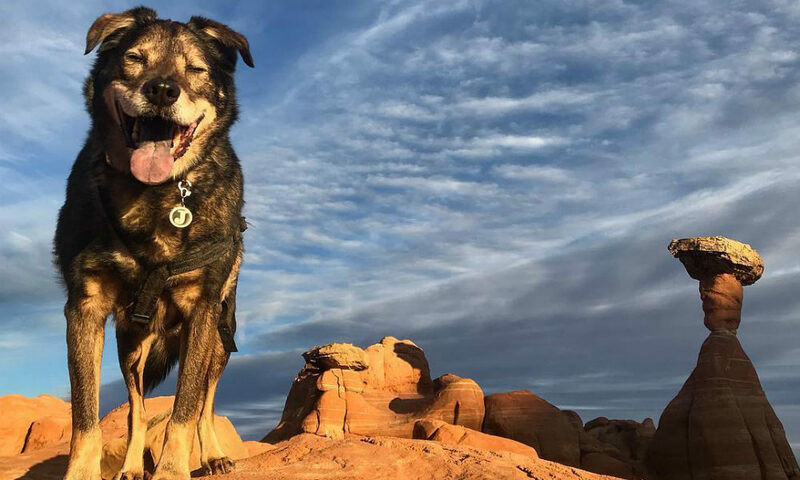 It’s the first in a new Dodo-produced series, entitled Destination: Firsts, a five-part series that follows rescue dogs and their owners as they go on adventures around the world. So Christopher got to work “pimping out” his 4×4 camper van (i.e. spending $4000 on readying it for a cross-country trip). He also got to work on something he’d wanted to do for a while: a GoFundMe campaign to raise money for Homeward Bound Rescue of NY, the adoption agency he’d originally adopted Jackson from. “Every time we did a round of the 46 High Peaks, I wanted to do something,” Christopher says. (He and Jackson have hiked the 46 highest peaks six times over.) “I was like, I’ve talked about this—I have to actually do it.” So far, the campaign has raised $825, easily surpassing its goal of $500. After arriving in Page, AZ, Jackson and Christopher spent two full days with The Dodo’s film crew, adventuring to Horseshoe Bend, boating on Lake Powell and snowboarding on sand dunes. Then, Christopher and Jackson went out on their own for two weeks, armed with a GoPro. The final video is a combination of footage shot by Christopher and by The Dodo in Arizona, as well as some from a visit to Christopher’s Saratoga Lake home. “I think the video dropped over the weekend, and I was out of service all weekend, because we were up north,” Christopher says. ” So when I got back to service, I was getting messages from people like, ‘Oh my God, the video’s awesome! I was crying! '” It’s already garnered more than 1.1 million views on Facebook and YouTube. It’s safe to say that more than a few of those 1 million-plus people had a good cry watching the video, too. Natalie Moore is the managing editor at saratoga living. She is an Adirondack 46er, a telemark skier and mountain biker. She likes playing volleyball and word games.